Jake is a three year old little boy who has cerebral palsy spastic quadriplegia caused by meningitis, contracted when he was two weeks old. As a result he has delayed gross and fine motor skills and a visual impairment. 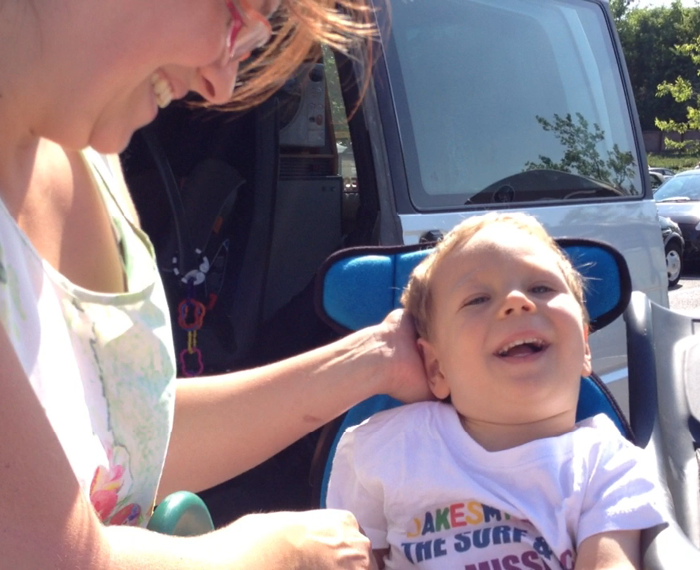 Jake’s family want to include him in every aspect of family life so he can develop to his full potential. However shopping trips became difficult when Jake outgrew the 9kg weight limit on the reclining baby seat on the trolley. Jake has developed reasonable head control, but his trunk and pelvic control is affected by a strong extensor reflex, triggered by movement, excitement or effort. While his sitting balance is emerging, Jake is unable to maintain an unsupported upright sitting posture during the movement of the shopping trolley. Safety is an issue due to the risk of him falling anteriorly or laterally against the bars of the trolley. 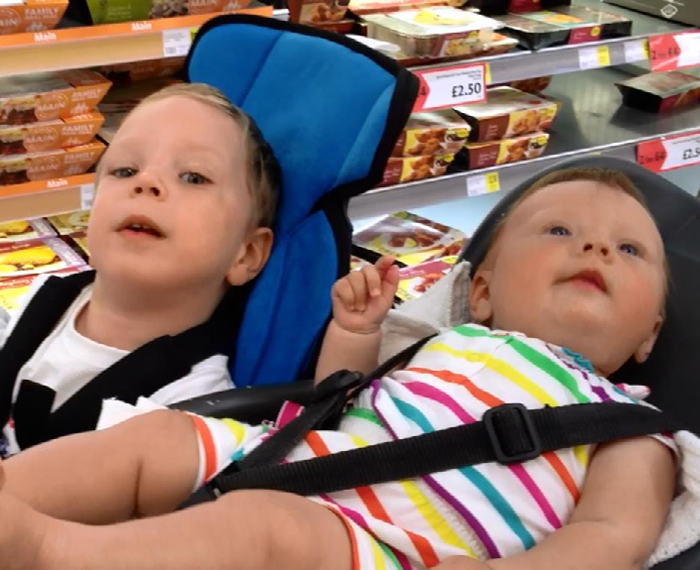 His hand function is further compromised by his postural instability as he holds on to the trolley handle, rather than being able to use his hands to touch, feel and explore. Jake was assessed using the GoTo seat. Initially, due to his strong extensor spasm, it took two people to fasten him in to the seat, but as he became accustomed to the seat, he relaxed and after a time, one person could transfer him easily in and out. 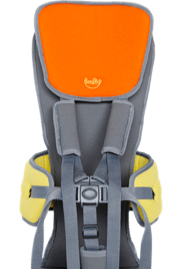 The flexible, wrap-around lateral supports together with the high backrest, and 5-point harness gave Jake the extra pelvic and trunk stability he required. Although Jake is visually impaired, his upright posture enables him to interact and communicate more with his family. This upright position also gives him the opportunity to develop his spatial awareness. Jake responds to the bright lights and colours he can make out, and he can develop his fine motor sensory awareness by touching and feeling different items of shopping. Jake is able to use his hands bilaterally, improving eye-hand co-ordination and refining reach, grasp and release, as well as developing hand dominance. 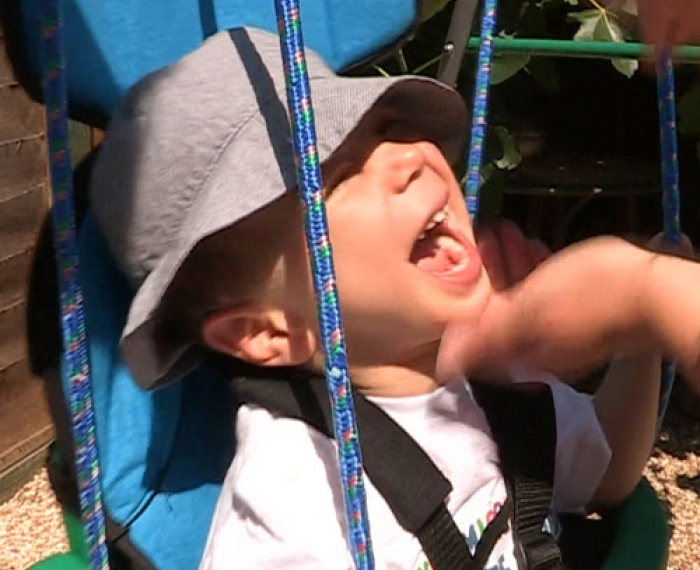 The GoTo seat has also enabled Jake to integrate in routine family activities such as sitting at the dining room table and going to the shops, as well as participating in typical toddler activities like swinging at the park. The portability of the GoTo seat has proved valuable to the family for their active lifestyle.